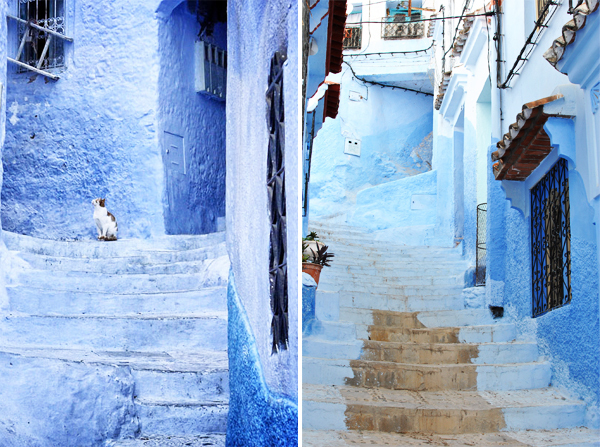 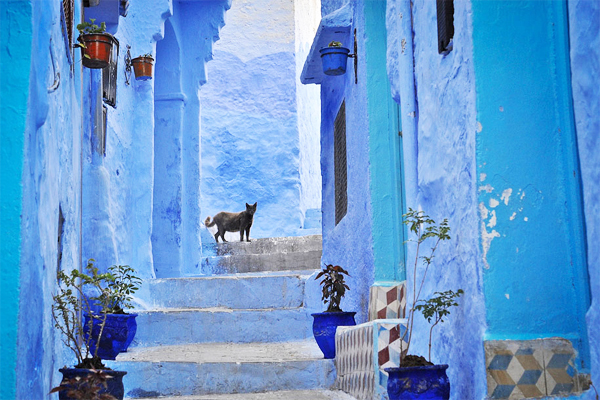 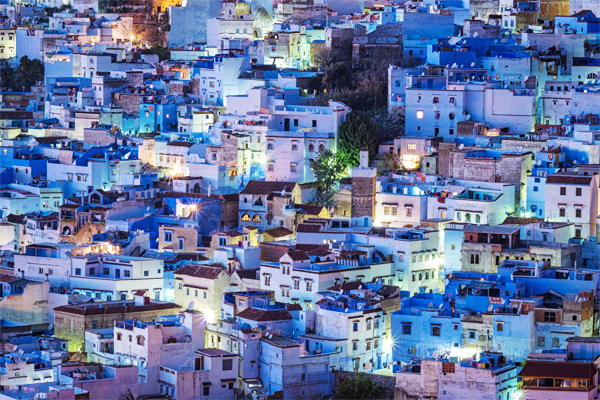 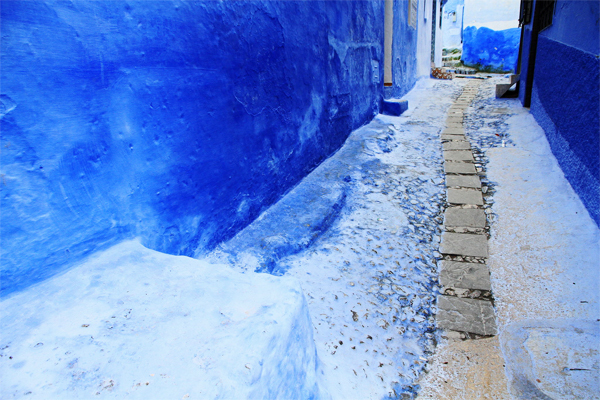 Chefchaouen or Chaouen, as it is often called by Moroccans is a small town situated in the rif mountains of northern west Morocco. 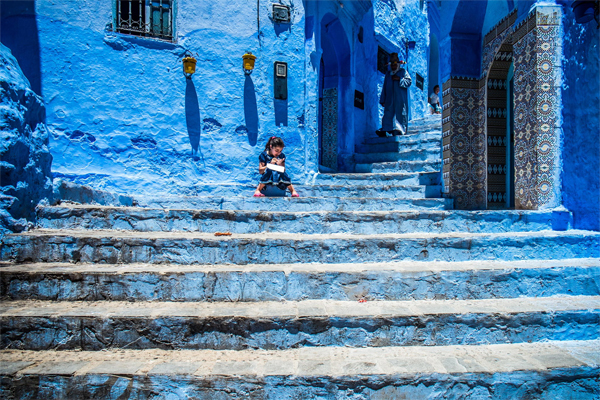 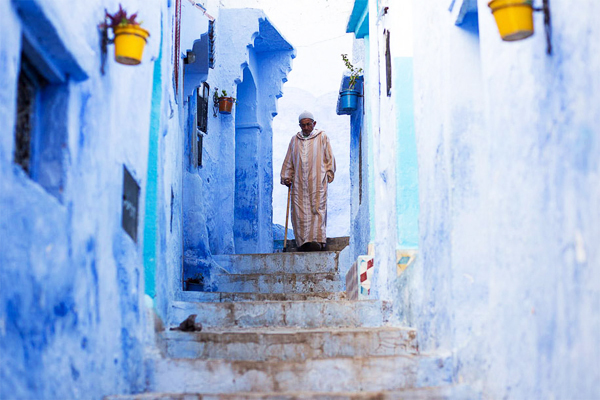 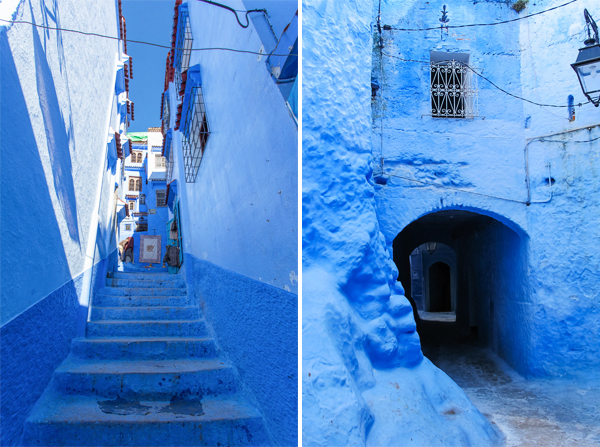 It has a rich history, beautiful natural surroundings and wonderful architecture, but what it’s most famous for are the striking and vivid blue walls of many of the structures in its “old town” sector, or Medina. 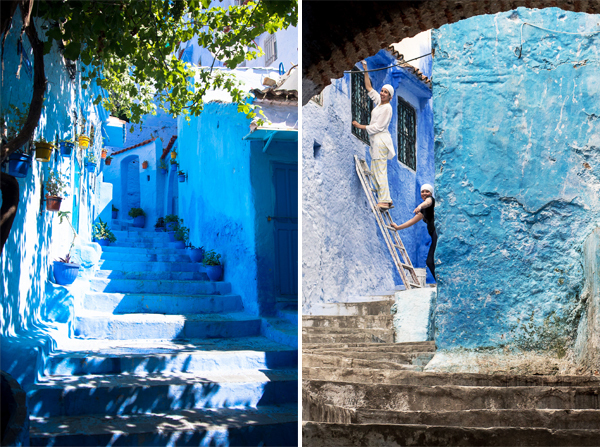 They are said to have been introduced to the town by Jewish refugees who lived there in 1930, who considered blue to symbolize the sky and heaven.